Probably, our last excursion to an obscure museum this year. 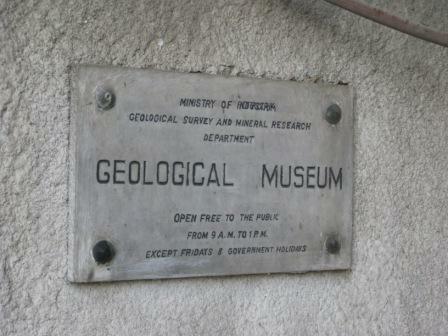 We have tried once before to enter the Geological Museum but chanced it on a government holiday. Very hard to get in to this place, as it is closed on a Thursday and a Friday and Saturday, and only open between 9am until 1pm. As I signed the visitors book at the gate I noticed that the last foreigner to get access was back in January. 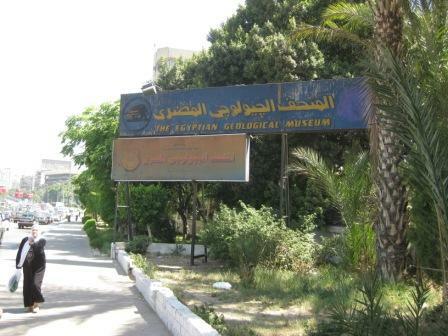 This museum is on the Agricultural Road and also off the corniche from Maadi. As we drove there, we entered through the River Transport Authority gate on the Agricultural Road, past a line of buoys and parked inside the museum itself, beside the staff cars. No entrance fee. 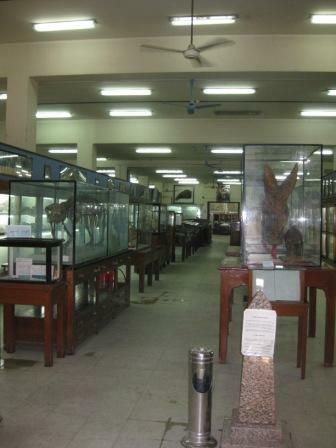 The museum opened in 1904. The beautiful display cabinets, shelving and contents of the research library look as if they belong in a magnificent building. They don’t. They did, the museum used to be further downtown in a building constructed specifically to exhibit geological specimens. However, in 1982 this building was demolished to make way for the Cairo Metro and the museum contents were transferred to its present site. The exhibits, the cases, the now familiar quirky labelling and the now reassuring reluctance to clean, still provokes some excitement – but the building itself is dull beyond belief. You have to go looking for some gems. We are not going to be drawn towards displays of shale, limestone and coal. However, you can see examples of ores that the ancient Egyptians pulverized to make colourful paints to use on their temple walls, which are still vivid today. The fossils are the most interesting. 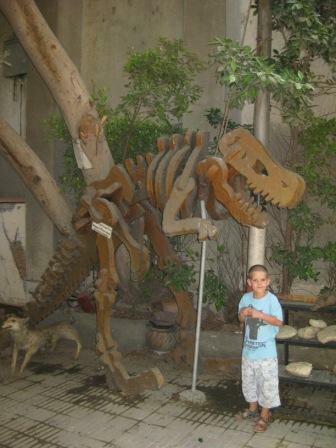 Pieces of dinosaur bone found in Egypt, prehistoric mammals, including the cast of a skeleton from an elephant ancestor. Also the tools used by prehistoric Egyptians. 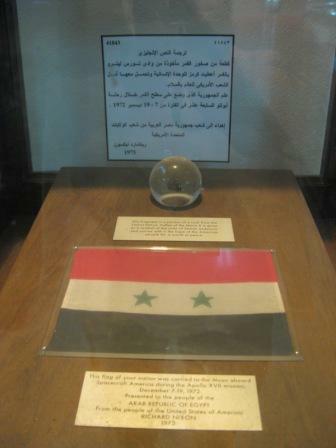 A bit of moon-rock stuck in a corner, presented to Egypt by Nixon, in 1972. 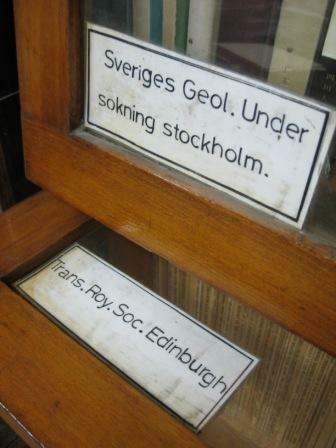 The miniature flag in the display cabinet had travelled around the moon on Apollo 17. I search the library for the research papers labelled Roy. Soc. Edinburgh – on their shelf some other stuff. Interesting labels on some of the exhibits. Was Fred Flintstone consulted? 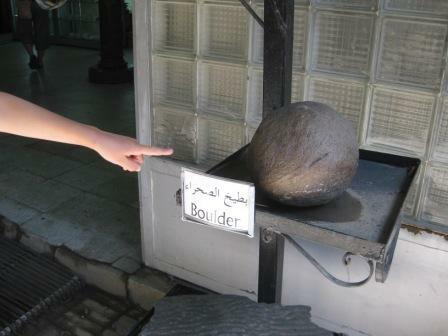 Can just make out the word boulder Cairo is pointing to. 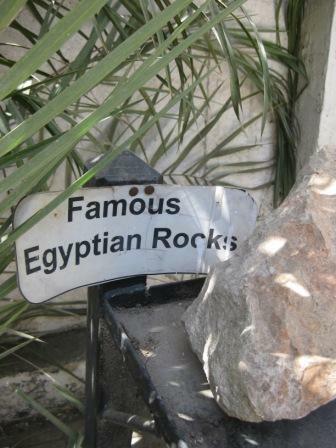 once again a very intersting blog, Cairo is such an interesting place, you are so lucky to live there!